Linux Mint 19.1 MATE DVD (64-Bit) | Linux DVD Shop - UK Linux Shop supplying Linux on CD, DVD and USB with Free UK Delivery, 24Hr Dispatch. 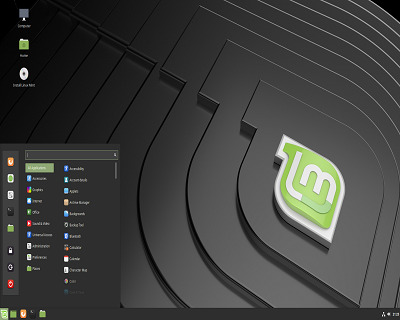 Linux Mint MATE Desktop Edition. Linux Mint MATE 19.1 for 64-bit systems is an Ubuntu-based distribution whose goal is to provide a more complete out-of-the-box experience by including browser plugins, media codecs, support for DVD playback, Java and other components. This version of Linux Mint 19 now comes with the new 'MATE' 1.2 desktop which is derived from GNOME.